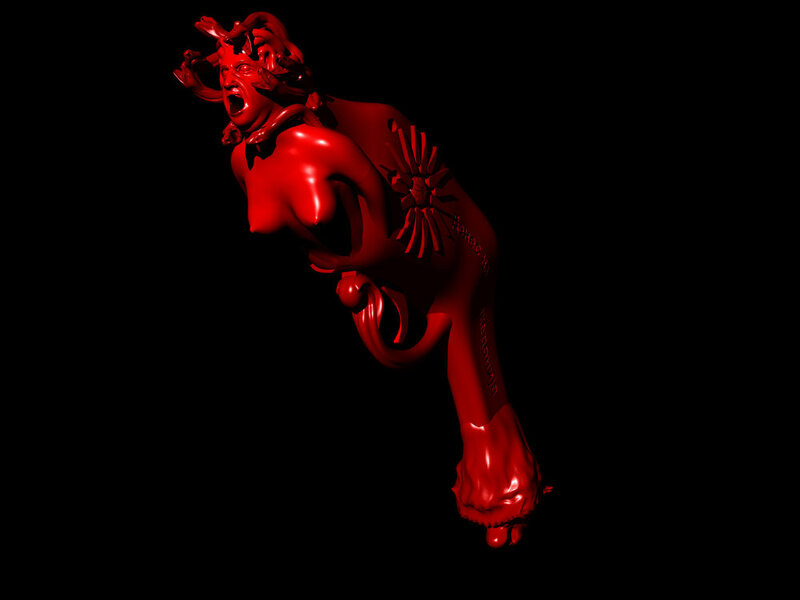 Nasjonalpistolen (The Gun of The Nation) (2015) is a celebratory monument to the 200th anniversary of the Norwegian constitution, May 17th 1814. It is a functional gun that uses the .22 caliber. 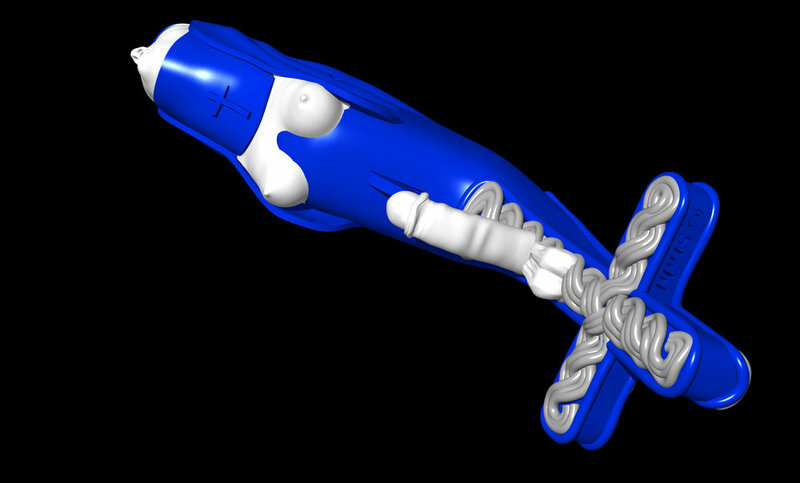 The Gun is created based on the standardized 3D printable mechanism with springs, trigger, hammer. 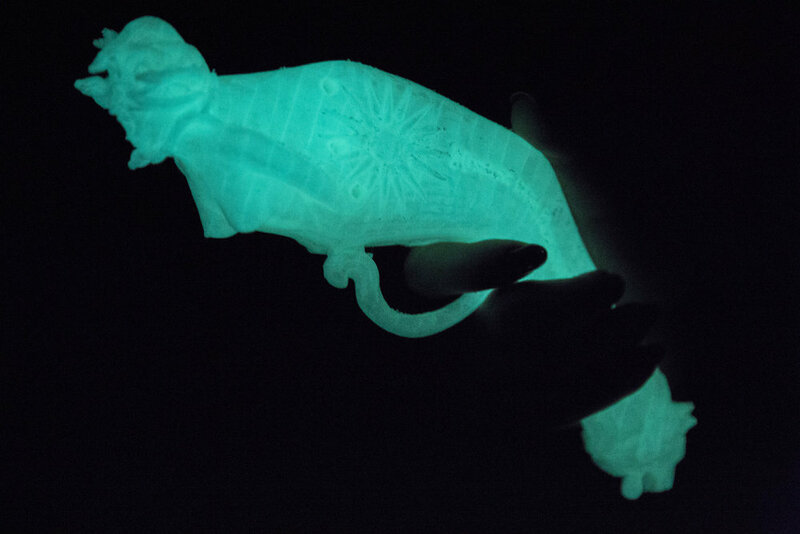 The design of the gun is created for multi-color 3D printing. Although it is initially created for Norwegian flag, the colors of the flag can be adjusted when printed. Nasjonalpistolen design consists of Norwegian national symbols, such as the lion head on the front, Norwegian flag wrapped around the gun and the flower pattern on the main body of the gun. Nasjonalpistolen can be downloaded here. You can view the 3D model online here. The SCUM GUN™ (2014) is a monument to Valerie Solanas who was a monumental woman of hard action and honest words. Her S.C.U.M. manifesto is unique and she followed up by shooting Andy Warhol. Equally she needs an authentic portrait doing eternal justice to her transgressive performance and inspirational conduct. 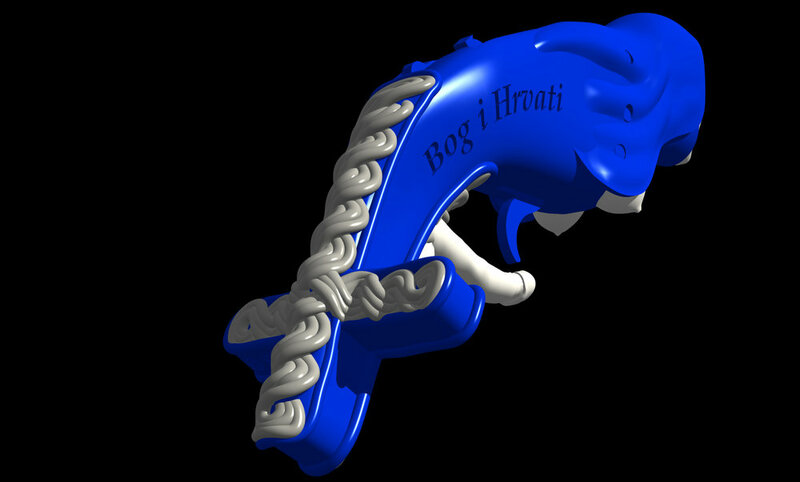 The monument therefore comes in the shape of a functional gun design to be printed on all standard 3D printers.